Are you a single parent and is planning to go back to the dating scene? Is this the reason why you’re at this Single Parent Love review? Well, then, go ahead and continue reading the information I’ve provided just for you below. Being a single parent can be challenging and fun at the same time. But when your kids start to grow up, and you feel more and more alone, you also feel the need to have someone constant in your life. Some people may think that being a single parent means taking care of the kids and wait out till you get old. But the truth is, just like single people, single parents also have the right to date. Though getting back to the dating scene may not be easy, with the help of the many online dating sites, it is still made possible. 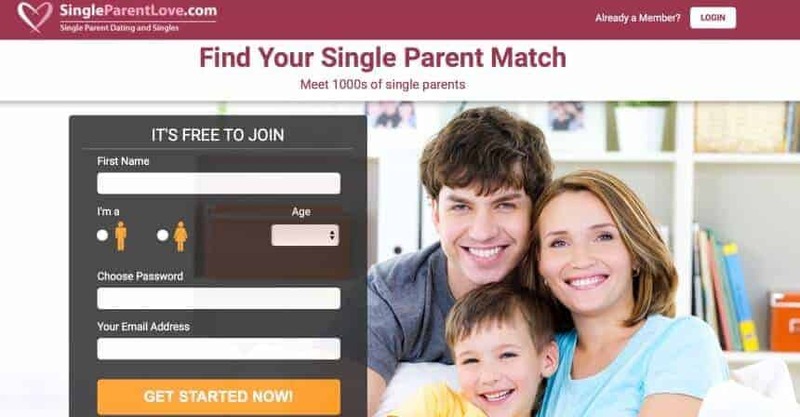 One of the online dating sites that cater to you is the Single Parent Love. Continue reading below and get to know this online dating site. Single Parent Love was established is under Cupid Media which is one of the established dating networks today. They are operating under different niches, including lifestyle, special interests, physical appearance, religion, and ethnicity. Also, they have been helping over 30 million individuals from all over the world to find the love of their lives. They cater to all parts of the world, including the Middle East, Asia Pacific, Europe, South America, and as well as North America. Single Parent Love is equipped with the most progressive and latest technology. This will make sure that your online dating experience with being interactive and enjoyable. They have a user-friendly design and multilingual interfaces, so you don’t have to worry about what your language is. Single Parent Love also have a language translation tools, to remove whatever language barriers you may face. With the many single parent online dating sites, you may be asking as to why you should choose Single Parent Love. Well, one would be it has a unique community where people and single parents are looking for a perfect match. It is also free to join, so why not give it a try! Another good thing about choosing Single Parent Love is that the users are diverse when it comes to education levels, incomes, ethnicities, and as well as age orientation. Of course, for you to find your match, they made sure that they offer different ways to connect and interact. With the low monthly subscription cost, you surely don’t have to worry about burning a hole in your pocket. When it comes to the site’s effectiveness and ease of use, I can say that the designers did a good job. The reason behind this is because everything it implemented effortlessly and they are very much fluid. You don’t have to scroll through different pages just to find the features that you need. Single Parent Love’s website can be navigated easily, wherein even the first time users won’t have a hard time browsing the site. You can sign up on Single Parent Love for free. You will need to key in your username, birthday, gender, password, sexual orientation, and as well as your location. Also, you will also need to give some information about your type of relationship, physical attributes, language, religion, children, smoking and drinking habits, and as well as your ethnic background. Once you’re done signing up, you need to complete your profile. Your profile will be the first thing that members will see, so make sure to make it eye-catching if you want to get the right match. Some of the things that you have mentioned upon signing up will already be included in your profile. You will also need to create an essay that describes yourself. It would be best to be as descriptive as possible. Of course, you need to upload a photo of yourself. The current the picture the better, so people can see you. Make sure that your profile photo is presentable and something that will attract people. If possible, it would be best to avoid using filters or even alter your picture a bit, since you surely don’t want to look different in person and in your photos. One of the best features that Single Parent Love has is the impressive search options that they have. Members can easily find their desired match using specific preferences. Some of these preferences are sexual preferences, interests, habits, horoscope, location, and as well as age. Another useful feature is that members can freely send messages that are flirtatious to the ones that they are interested with. You can use a video or text chat with a member to develop a great rapport. Of course, just like with the other online dating sites, you can add in members in your friend list or your favorite list. You can also create a blocked list for people with whom you don’t want to talk with. If you have a premium membership, then you have the ability to see the members who have added you on their favorite list. As mentioned above, you can register and do some basic stuff for free. But in order for you to maximize all of the site’s features, subscribing to their premium membership would be best. Members who are under a paid subscription can enjoy instant messaging, send, read, and reply to any messages sent by the members. You can quickly pay through money order, check, and as well as credit card. If you wish to unsubscribe, then you may do so anytime with ease. These are all of the information about Single Parent Love. With this Single Parent Love review, you surely know now what to expect when you join this online dating site. If you are a single parent, then this is definitely the site for you.